Astarti was abandoned by her mother, and left with the Griever’s Mark, which is placed on those about to die or unwanted children. She was taken in by Belos, who is known by many names, the deal maker, the deceiver, the liar. He makes deals with people offering them power in exchange for them accepting his Leach, which in turn feeds his magic. When Astarti was young he Leached her and now she has no choice but to do as he says. Through the Leach he can always find her and even take over her mind and control her. Belos and his seven are Earthmakers, another people with great powers, but after being banished by his people he’s learned the magic of humans as well, Drifting. Drifters and Earthmakers hate one another and they all fear Belos. Astarti is sent to convince someone to make a deal with Belos when she meets a young warden Earthmaker. She knows she should kill him, but she can’t bring herself to. She hates belonging to Belos, but thinks escape is impossible. Is this young warden her enemy or could he help her somehow? The magic was awesome! And so unique! There are two kinds of magical people; Earthmakers and Drifters. Earthmakers have control over the elements and can travel over a distance within the life force of trees. Drifters can form weapons and energy, traveling through the drift, a web created by living creatures. I draw my thoughts into myself and ease along my mooring, the glowing thread of energy that connects my physical body to the energy world of the Drift. Though every living thing has a mooring, and every living thing is part of the Drift, only Drifters can travel along their mooring to actually enter the Drift. Or to draw power from it. The world building was excellent and expertly done. It starts with a medieval kingdom, but the entire world is fleshed out with different peoples and cultures. I particularly liked the floating islands of the Earthmakers. From the first page I could tell how well written this book was and I thought Astarti had a great voice. She’s been abused, but she was still tough and proud. She’s never had anyone be truly nice to her before, but that doesn’t stop her from being a good person. One thing Belos has taught me is that you collect information where you can and you don’t let anyone know that you know it. 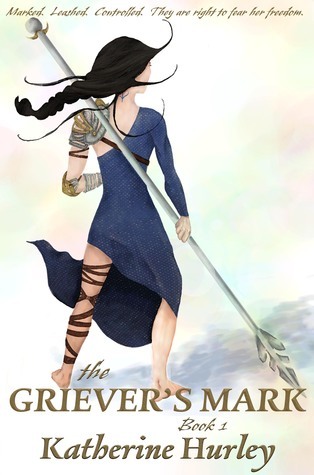 Griever’s mark has nice action scenes, from swords and spears to the magical battles. (and even a siege) I could picture the fighting perfectly and I didn’t have the desire to skim over anything. The romance was well done, and I’m totally rooting for these two. I like them both and I really felt it. Their relationship went at just the right speed to be believable! This book made me have feelings! I swear I almost teared up! I admit, I thought that said Kameron Hurley and couldn’t figure out how I missed it. Nope, but I still think it’s a book not to be missed! Yay! I’m so glad you’re going to read it! I hope you like it as much as I did. (Or close since I really really liked it) I know, I don’t think a book has ever made me forget to eat before! Okay, you’ve convinced me! I really need to stop reading reviews…I just find more books that I need to read! But this sounds really awesome, the magic intrigues me and I’m a sucker for a good romance, I didn’t use to be but now it can completely sell me on a book! My favorite indie author would probably be Rochelle Maya Callen, she writes YA paranormal(Ashes to Ice), and YA Contemporary(Two Breaths Too Late, this book broke me), and I just love her. I didn’t used to care at all for romance, but if it’s done well I love it now. The magic is one of the best parts of the book, I so want Drifter powers now! Thanks for the recommendation, I’ll have to check her out. It was on Netgalley and Goodreads First Reads, so maybe it was there. I tried googling it and it says the author drew it herself. Oh I didn’t know about this one but I’m g lad it was a wonderful fantasy read! I confess you made me curious about the world and the characters now! Thanks for the review! If I’ve made you curious then my job is done. 😉 Thanks! So happy you liked it but I am not sure if it’s for me. Thanks. Once it comes out you can always try the free chapters on Amazon and see if you like it. I love that feature, because sometimes books that don’t look good really grab me. hehe So you could tell I liked the book? 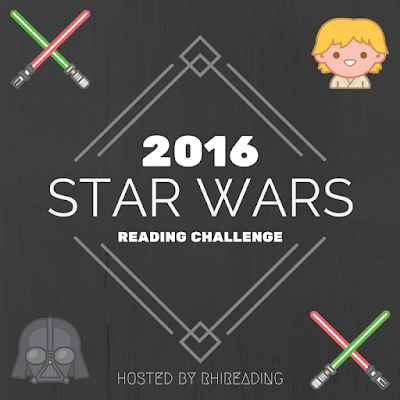 I’m glad I made you want to read it. 🙂 I hope you do and you enjoy it as much as I did. (or close) I don’t forget food, sleep all the time, but food never! Thanks! This sounds really interesting! I love it when authors create new and interesting magical systems. This book and its magic system sounds really interesting. I only wish they would be available on audiobook. If they become more well known and she keep up the good work then they probably will. To answer your end question: it’s rare that I find good indie authors. The best ones I’ve found so far are Krista & Becca Ritchie (they write new adult contemporary). They’re wonderful writers with great characters, and they’re a writing duo. The best part? I can never tell who wrote what; their writing just flows, and their characters’ voices are so unique! But it’s hard for me to find indie authors I love that strongly, haha. This sounds like it would be a really interesting book. I’m a sucker for well-done world building and magic systems that are unique and make sense. Also, heroines with strong voices are a definite plus. I love it when I can’t tell who wrote what in a writing duo! I’ve found a few good Indie authors, but none of them were great before. I know I love world building and magical systems. A book review says these things and it almost always goes on my list. I agree! With so many story ideas out there already it’s always neat to find something new and unique. Thanks! I hope so. I’m glad you’ve found good indie authors too. I’ve never heard of Hoover, I’ll have to look her up.